A version of this article first appeared on the WGSN/Insiders blog post ahead of a keynote Andrew delivered at the WGSN Futures Australia event in Melbourne on November 18th, 2016. What keeps retailers awake at night? IBM’s Andrew Grill reports on the global impact of digital disruption and how businesses can stay ahead of the curve. Next week, at WGSN Futures Australia in Melbourne, I’ll be taking a high-level global perspective of the major influences that are driving digital disruption in retail and across other industries, we’ll see what can be done by Australian retailers to prepare. As many in the audience may know already, I don’t come from the fashion industry, however as a result of my work at IBM, and living in London for the last 10 years, I have a truly global view across multiple industries as to how digital disruption is impacting every and every industry. I speak regularly at conferences around the world on these topics and look forward to inspiring and educating the audience in Melbourne. 1. How to stay ahead of the digital disruption curve. We’ll look at why to “get digital” you have to “think digital”, and examine how other industries have responded and take advantage of employees that are “born digital” along with those that are “digital ready”. We’ll also look at some disruptive technologies such as cognitive computing and blockchain and explain how you can utilise these in your industry for maximum effect. I’ll provide those at the Melbourne event the reason behind my thinking on this quote. 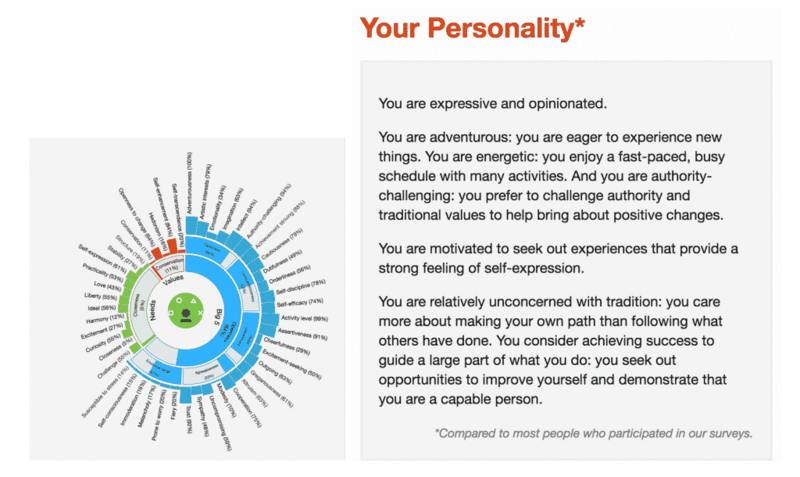 I’ll also show a live demonstration of the IBM Watson’s personality insights tool to show what intelligence you can derive from the tweets of your customers, celebrities and even your competitors! Having been the CEO of social influencer platform Kred from 2011 – 2013, I have unique experience and exposure to the world, and psychology of influencers. What I saw first-hand and continue to see now is people who TELL you they are influential, and demand a lot of money to promote your products. This has evolved greatly over the last few years and has reached a point where influencers can appear to be as important as celebrities and the press and getting your message out. I’ll help you determine who is truly influential, and who is just noisy. 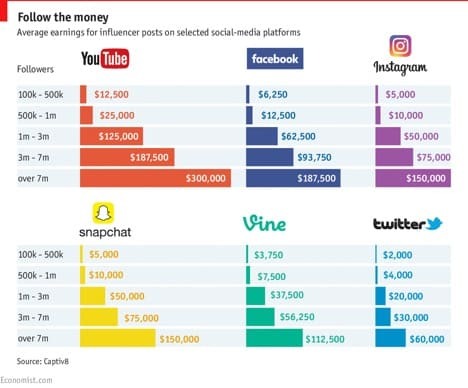 A recent article in the Economist examined what influencers are paid on various platforms. 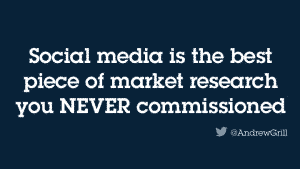 This research is fascinating and shows the sway that influencers now hold with brands. This part of the session is not to be missed. 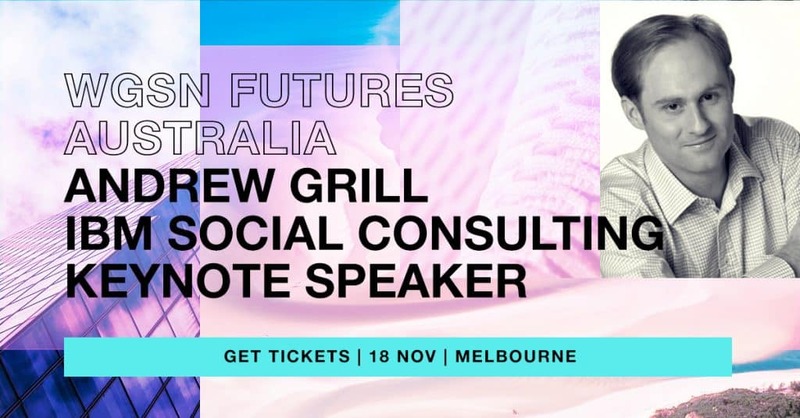 I’m excited for WGSN Futures in Melbourne and look forward to meeting many WGSN/Insider readers – tickets are still available via this link.